Friday Breakthrough: Tigers and Ketchup and Comebacks, Oh My! 1) I have a new favourite commercial (and not surprisingly, it’s a Super Bowl ad). How cute is that baby tiger? Simon Houpt of The Globe and Mail explains that Cars.com is one of many Super Bowl advertisers that are connecting their ads to social media (in this case, YouTube) to build anticipate and start a dialogue. For more on Super Bowl ads, check out this previous Daily Breakthrough post by our own Casey O’Brien: “My Most Memorable Super Bowl Commercials“. 3) I received an email from Club Monaco in my inbox this morning and experienced major flashbacks to grade 8. The email announced the return of their iconic crest – “back by popular demand!”, available in select Canadian stores only. They say that if you wait long enough, everything will come back in style. 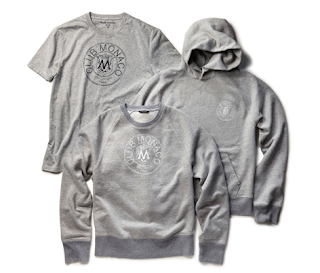 Back in the late 90’s, every girl I knew had a Club Monaco sweatshirt with the big crest. If memory serves, mine was a dark navy blue hand-me-down from my older sister. I would hope that my fashion style has progressed since back then, but I’ve gotta say… the more I look at those comfy looking sweatshirts, the more nostalgic I feel. I may have to get one, just for kicks, but I promise I won’t pair it with a scrunchie.